Belize’s territorial rights are at the forefront of current national discourse. And if it were any other year, it wouldn’t be the maritime area but homegrown topics such as love and basketball that would be discussed in the living rooms and barbershops. But the next item encompasses love of country, territorial rights and…basketball. 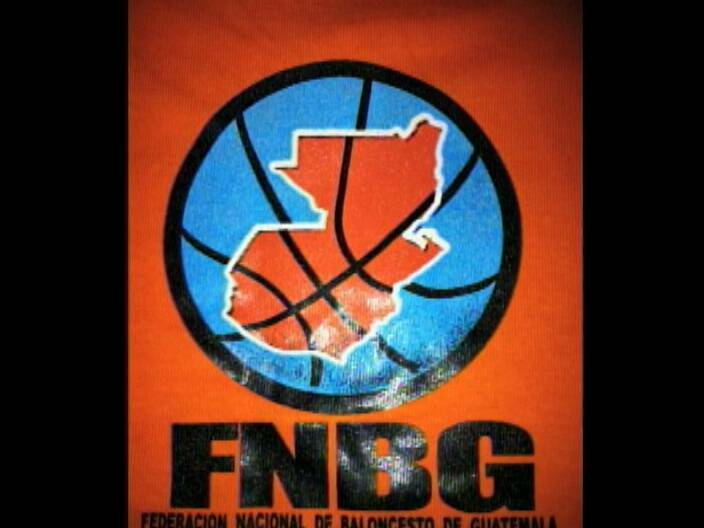 The National Basketball selection is preparing for the Central American Games to be held from March eleventh to seventeenth in Costa Rica and this weekend, they would have been playing in an event in Peten, Guatemala. But the Guatemalans adorned the facility and every memorabilia of the event, including official documents and team jerseys of the visiting countries, with a map of Guatemala in which Belize ceases to exist. 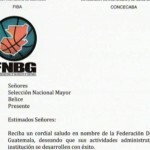 The coach allowed the players to participate in one game, but when Belizeans became outraged about the jerseys, the Belize Basketball Federation called them back today. But instead of owning up to the oversight, the team coach, Matthew Smiling, became irate and tried to hide the infamous jersey just as News Five was about to video the clothing. News Five’s Jose Sanchez reports. The National Team aborted their part in an international Basketball competition in Guatemala. 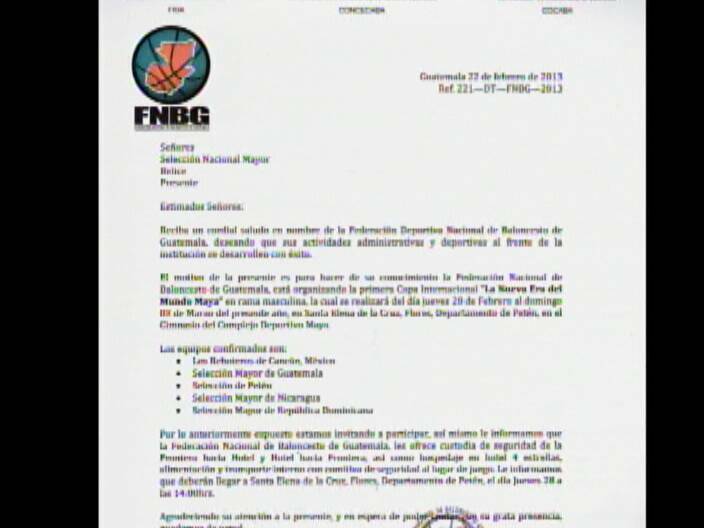 The competition should have finished on Sunday, but they returned after one night in Peten. Charles Ellis, Vice President, B.B.F. It’s good that they returned because the well known National Team Coach was unhinged. 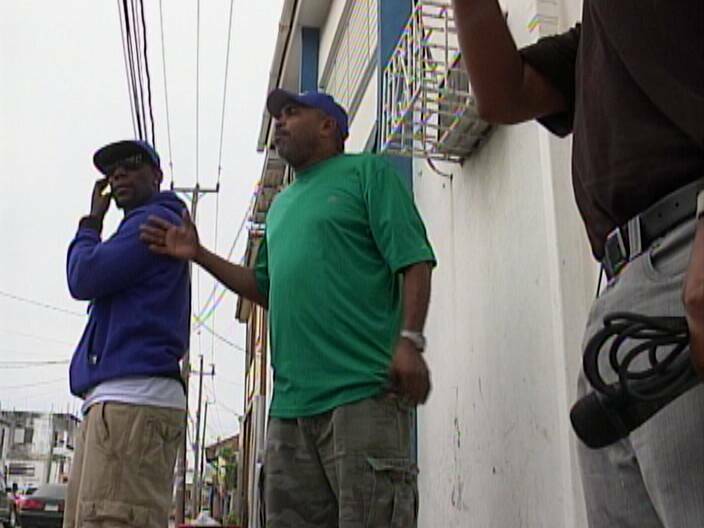 Belize Basketball Federation Vice President Charles Ellis explained why the team returned. But it was this image of Guatemala and Belize as one country that the coach wanted to hide from the camera. A team member lent us a shirt as he was leaving, then Coach Matthew Smiling grabbed it, and became vulgar. His reason was that we didn’t attend a recent basketball practice session. The team wore its own jersey that it took to Guatemala for the one game it played against Mexico. 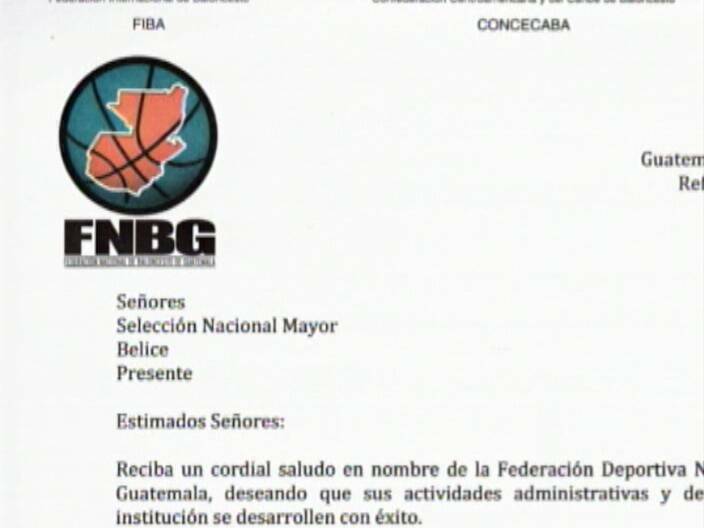 And for clarity, the Belize Basketball Federation did not invite either News Five or Seven News to any basketball practice session for the national team. Our sports photojournalist also noted no public campaign for the competition was ever made available to the media. 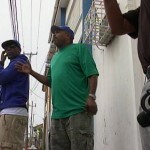 And while no one can say how the coach behaved in Guatemala, the B.B.F. 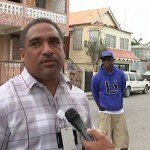 vice-resident said he could not speak about the recent actions of Coach Smiling. I have been thinking about these Guatemalan maps which include Belize. I have a suggestion. Maybe one of our departments let say TOURISM, puts out a Belize tourist map and includes the Guatemalan departments of Peten and Izabal as part of Belize and, then waits for the Guatemalans reaction. I know that every Belizean vato loco gets real angry with this Guatemalan maps but you know, I can say and believe with all my heart that your house, your bank account, your cat, your dog etc. etc. is mine and all mine and mine alone. However, the truth and the reality is that nothing is mine. All is yours and yours only and only yours. Therefore, let the Guats say that Belize is theirs and let them put it in their maps for that is all they gonna get because Belize da only fu wi Belizeans. Matthew Smiling act like gangsta all the time. Why did the GSU raid Smiling meats? Need i remind you that was on the news. 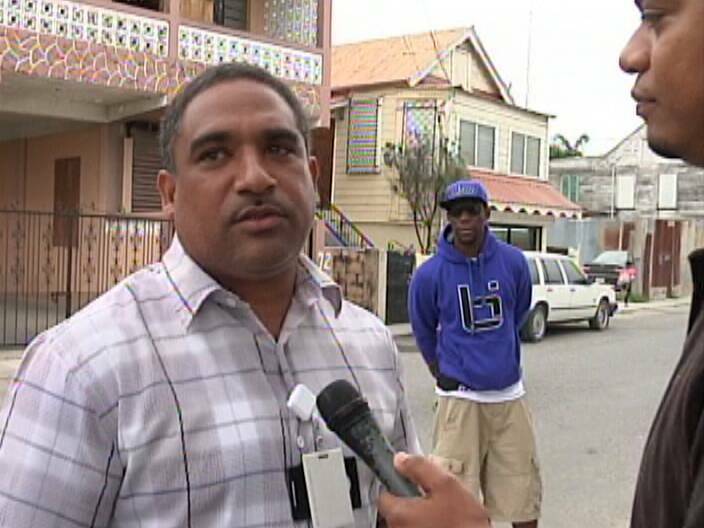 Anybody weh get raided and act like that in front of the cameras should not be a coach. Imagine if he acted like that in Guatemala? our boys would be dead right now for his foolish behavior. Smiling like start fight in public with people. Matthew Smiling’s behavior makes me want to think he is guilty of something. Out of shame and confusion, he cursed and acted ignorant on national TV. If he cannot discipline and control his emotions, how can he impart that to the players if he has demonstrated not to posess it himself? The fact that he tried to hide the shirt with the offensive logo then blamed the media for not covering his practice sessions, to my mind, disqualifies him from being the head coach of our national basketball team. He need to stick with Smiling Meats and rest fi we basketball team. Besides, GSU noh goh ransack yuh place fi nott’n. Smiling was an embarrassment, but I applaud the team for giving up useful practice competition to reject an insult to our nation. We must always remember that the Guats are obsessed with conquering us. Very disappointed with the reaction of Mr. Smiling. Sports is not only about athletic talent but also about discipline which Mr. Smiling has shown none. How then can he impart that to the players. He should not be National Coach. All sponsors should put a moratorium on finance to the team until Mr. Smiling is removed. Any truth to 3 members staying on and participating in the tournament?